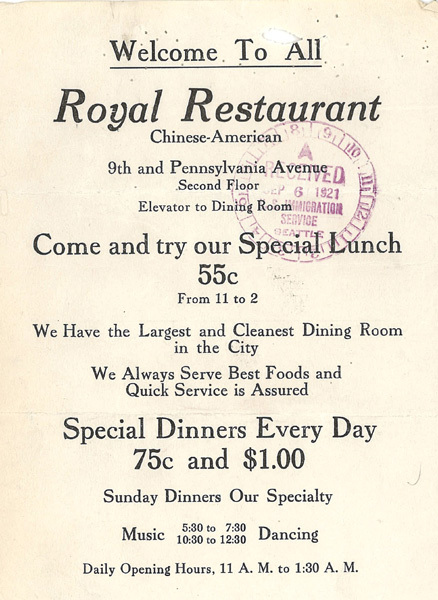 Chin You – Manager of Royal Restaurant, 9th & Pennsylvania Ave, Washington, D.C.
“Ad for Royal Restaurant” 1921, Chinese Exclusion Act case files, RG 85, National Archives-Seattle, Chin You case file, Seattle Box 799,file 7030/12562. Chin You’s file covers the years 1906 to 1940 and has several photos of him at various ages. 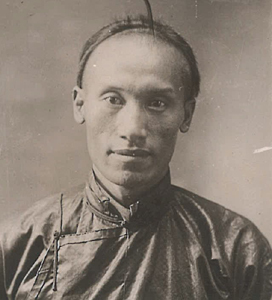 He lived in Washington, D.C.
“Affidavit photos for Chin You and Chin Jin, 1906; #5359 Chin You photo, 1911; Form 430 photo, 1921; Form 430 photo, 1940”, Chinese Exclusion Act case files, RG 85, National Archives-Seattle, Chin You case file, Seattle Box 799,file 7030/12562. 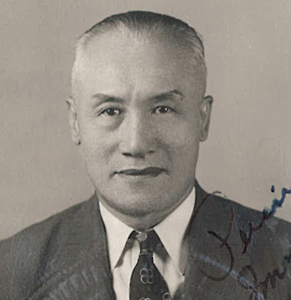 Chin You 陳耀 was born on 3 January 1885 on a fruit farm in San Jose, California and went to China with his parents, Chin Jin 陳真 and Goon She, and his younger brother, Chin Guey, when he was six years old. They lived in Ai Wan Village in the Sun Ning District. Chin You returned when he was 21 years old. 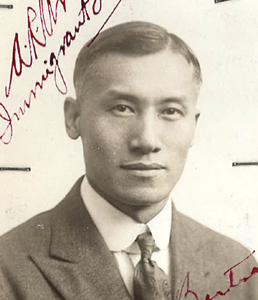 He arrived in Vancouver, British Columbia, Canada from China and after making his way across Canada to Montreal he was admitted to the United States at the Port of Richford, Vermont on 24 November 1906. He was held in detention for four or five days but was admitted after his father Chin Jin who worked at Quong Ying Tung Co in Boston, Massachusetts, swore in an affidavit that Chin You was his son. Chin You made several trips to China between 1906 and 1940. This is some of the information garnered from his interrogations: His marriage name was Chin Kun Char. His father, whose marriage name was Chin See Thun, came back to the United States about 1897 and died in Boston in 1908. His brother came to the United States a couple of months after their father died. Chin You married Yee Shee and they had a son, Chin Doon, born in 1912 in China. Chin You registered for the draft on 12 September 1918 in Patterson, New Jersey. The war ended the day after he received his draft card in the mail. Yee Shee died and Chin You remarried Lillian Lerner in 1920 in Baltimore, Maryland. In 1921 communications from A. R. Archibald the Immigrant Inspector in Baltimore to the Commissioner of Immigration stated that they received an anonymous, rambling letter saying that Chin You was manager of the Royal Restaurant and that he was a bigamist and a draft evader. They investigated, discounted the charges and recommended that Chin You’s application be approved. Chin You left for China in 1921 and returned in November 1939. On his immigration form he states that his first wife died and the whereabouts of his second wife are unknown. He married again in China to Leong Shee and they had six children, five sons and one daughter. He applied to leave from San Francisco for China in January 1941. His file was approved but there is no further information in the file.